Neutral Fuels, a biodiesel producer based in the UAE, has become the first company in the world to commercialise an enzymatic biofuel. For six years Neutral Fuels has been producing biodiesel using cooking oil, supplying high profile clients such as McDonalds UAE, which runs a fleet of renewably fuelled trucks on B100 biodiesel. Karl W. Feilder, Neutral Fuels’ CEO and director, told Biofuels International that a lack of good quality cooking oil in the UAE had proven an obstacle for the company. In particular, he pointed out that with the exception of McDonalds', a lack of national standards meant that Neutral Fuels couldn't previously convert all of the waste cooking oil available in the region. Now they can. After a campaign to encourage companies and kitchens to improve the quality of cooking oil waste didn’t yield any significant results, Neutral Fuels looked for a different solution. “We needed to be able to process “bad” oil into biodiesel quickly,” Feilder told Biofuels International. 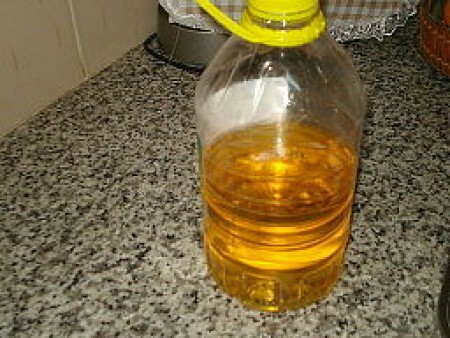 He pointed out that although there was no secondary market for what he dubbed “bad” cooking oil, making it easy to obtain, most ‘normal’ biodiesel producers couldn’t use it. Feilder’s team found that an enzyme from the fungus that grows on soybeans could be used to break down the fatty acid impurities of ‘bad’ waste cooking oil and turn it into ‘good’ biodiesel. The results of the new enzyme process were startling, pushing production yields up to 93% and reducing the process time for enzymatic biodiesel from 24 to four hours. In a pilot run of just four days, Neutral Fuels has successfully produced over 10,000 litres of enzymatic biodiesel. The next step for the company is to develop a production line dedicated to processing the ‘bad’ cooking oil, adding to the two production lines the company already operates in Dubai.